Our big dog that is trapped in a little body is off to her new home right here in Pine Grove. Her new mom recently lost her wonderful Redbone Coonhound Sadie to cancer and she had a very empty hole in her heart. 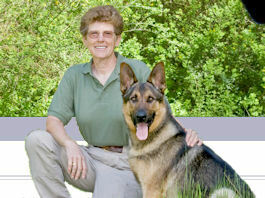 Kim is a very dear friend of mine and a great volunteer with all of the Second Chance dogs. So when she first met little Pippa she said what a wonderful little dog that she was and that we wouldn't have a problem finding her forever home. Well....Kim was right about that!! 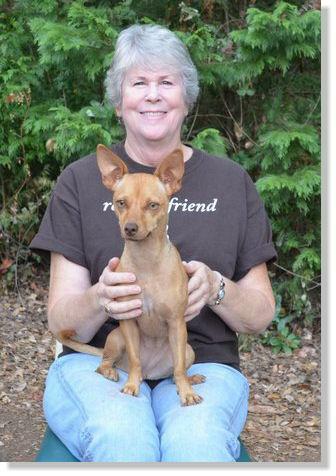 Pippa now has a wonderful home with Kim, beautiful property and a new mom that will give her everything she could ever want. 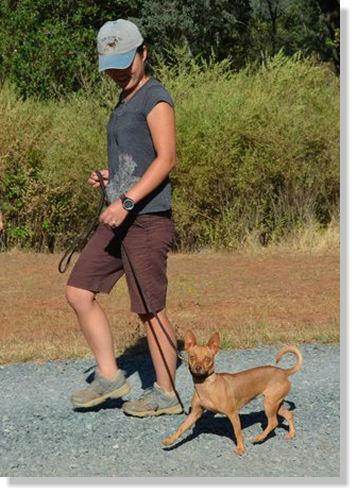 The best part is Pippa will be out at the ranch every weekend continuing her training, going on pack walks and helping out future Second Chance Kids. Hi, my name is Pippa and I am the cutest little girl you ever did see! 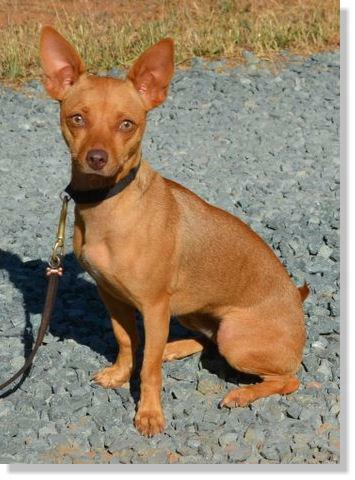 I am just over one year old and the folks at the Amador Animal Control & Adoption Center think I am a Miniature Pinscher/Chihuahua cross. Auntie Margè says I am just brilliant!! In the short time that I have been at Twin Cedar Ranch I have already mastered a perfect heel, auto sit, down and stay. have been raised around adults, children and other dogs. I love to socialize and play with other dogs! am a real snug bug! I took a field trip to Auntie Kim's and this is what she had to say about my behavior in the house: "Pippa is an angel, when she's on my lap, I can't even feel her! (She weighs 12 pounds.) I'm enjoying her very much! 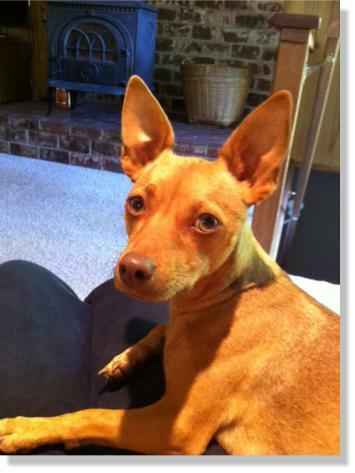 Pippa is looking for a home where someone will give her the love and care that she deserves. 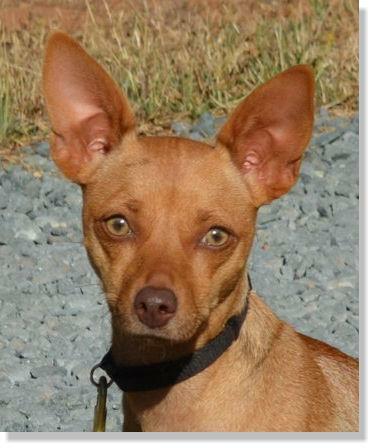 Please give us a call if you would like to come out to meet this awesome little dog.